Piel Frama presents our new emporium case for iPhone x. A new Cover concept created by our Moroccan craftsmen in Ubrique in premium cowhide. Not only stands out for its Horizontal opening Book type, also for an Ultra-thin design that fits like a Glove to the shape of your smartphone. If on the outside we can appreciate the quality of the skin with which we manufacture all our products, its interior is not less important. 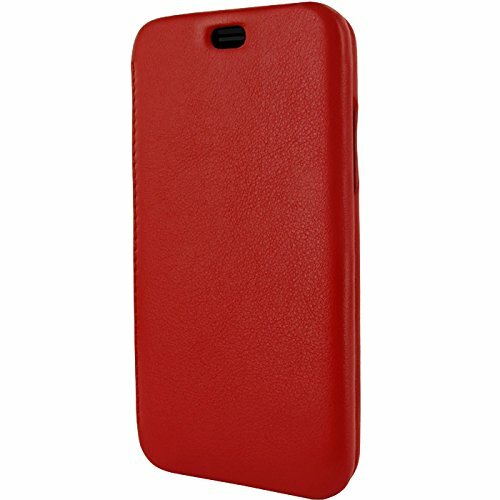 It is composed of a unique polypropylene material made to measure exactly to perfectly protect your iPhone x. Therefore your elegant and padded exterior hides a true Armor tailored to your Brand new smartphone. It has a double system based on hidden magnets that does not affect at all the operation of the device. This system makes the design of the case completely clean and even, it is even possible to speak with the Cover closed. It also has two compartments inside for credit cards, as well as a pocket for storing bills or documents. Inside, thousands of microscopic craters act by creating vacuum particles between the lid and the surface of the device Without causing any damage. In addition, the device can be removed and put as many times as desired Without damaging the adhesion property. We are facing a unique and exclusive product, not having two exactly the same world.